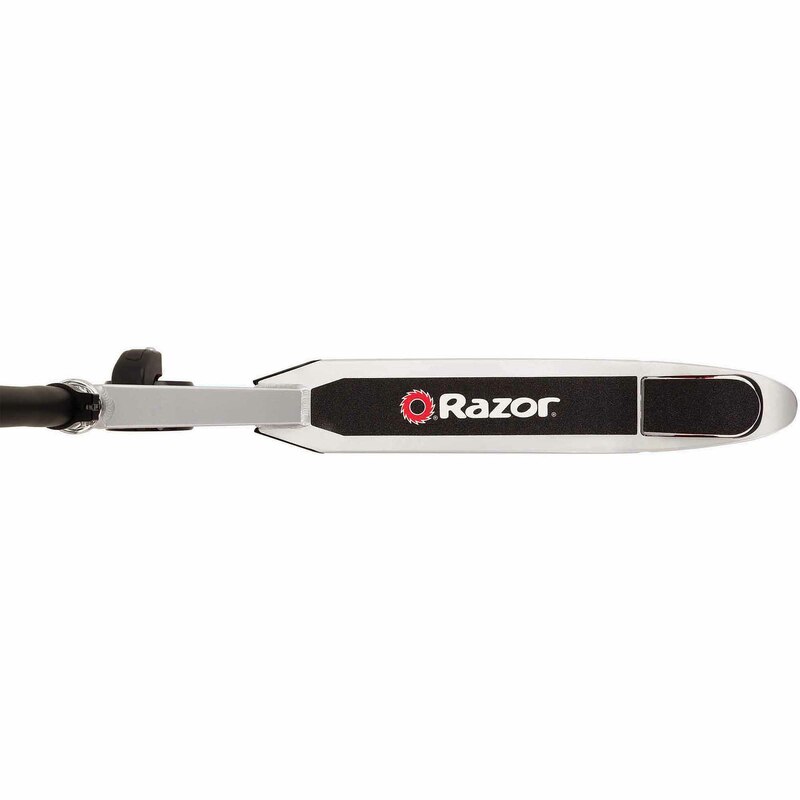 BONUS : Comparte este Scooter Scooter de Razor Black Label R-Tec + Razor en Veo y Compro y obtén un descuento para comprar este u otro producto que tanto buscas. 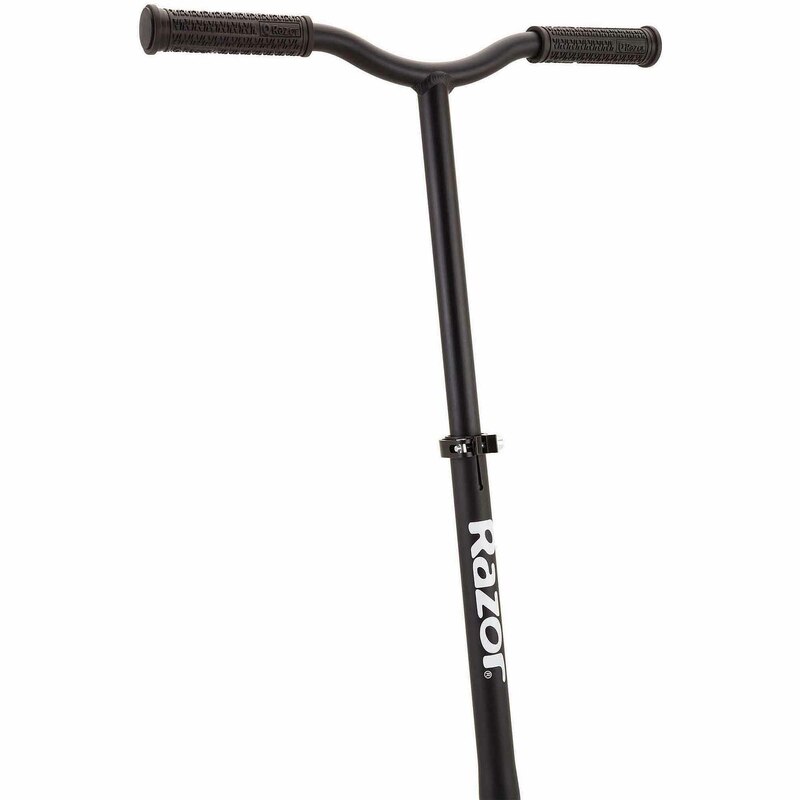 The Razor Black Label R-Tec Scooter makes a bold statement with its futuristic design and exciting ride. 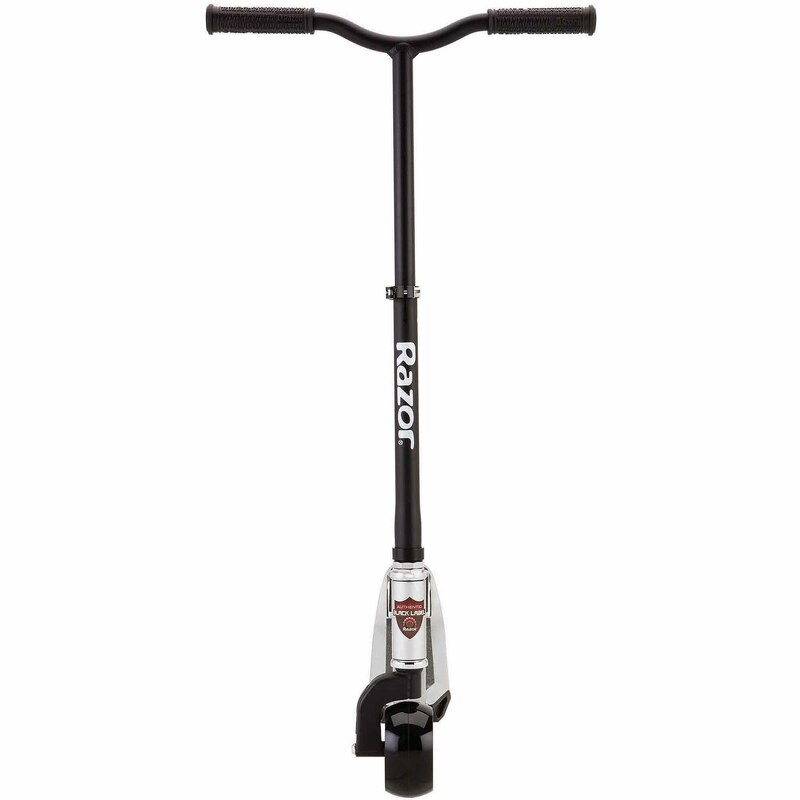 It features 60mm super-wide urethane wheels, integrated, rear fender brake and adjustable handlebar height. 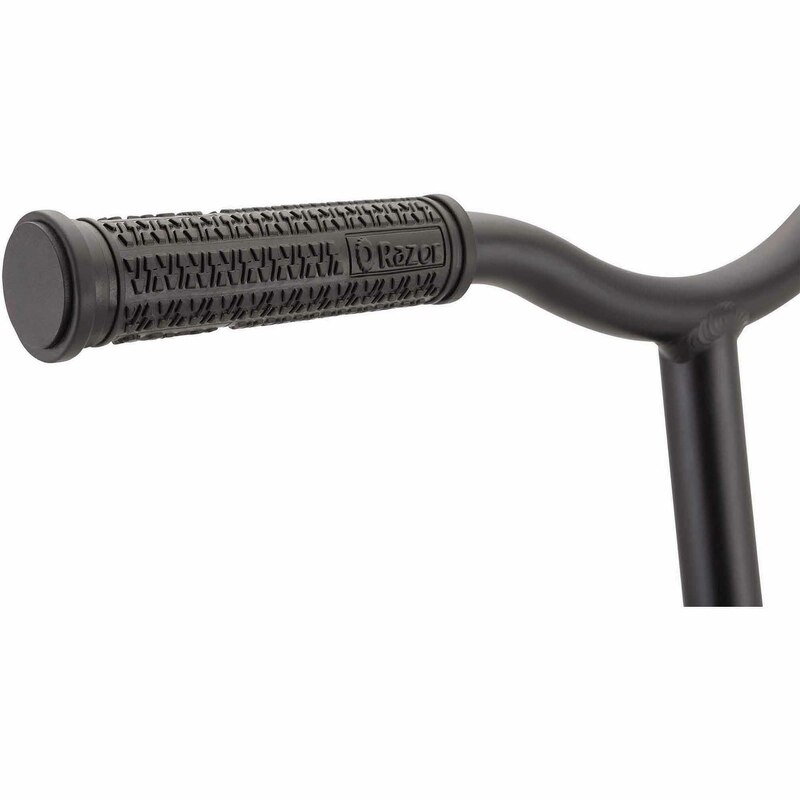 Other features include riser, aircraft-grade aluminum T-tube and deck, non-folding, rigid down tube and soft rubber grips. 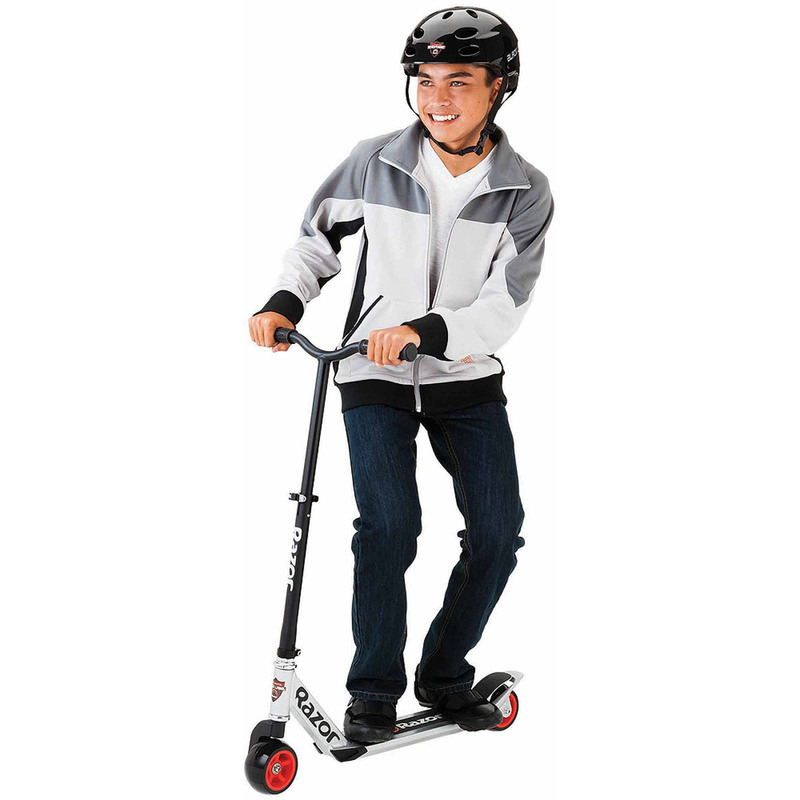 It is fun for kids as well as adults too. 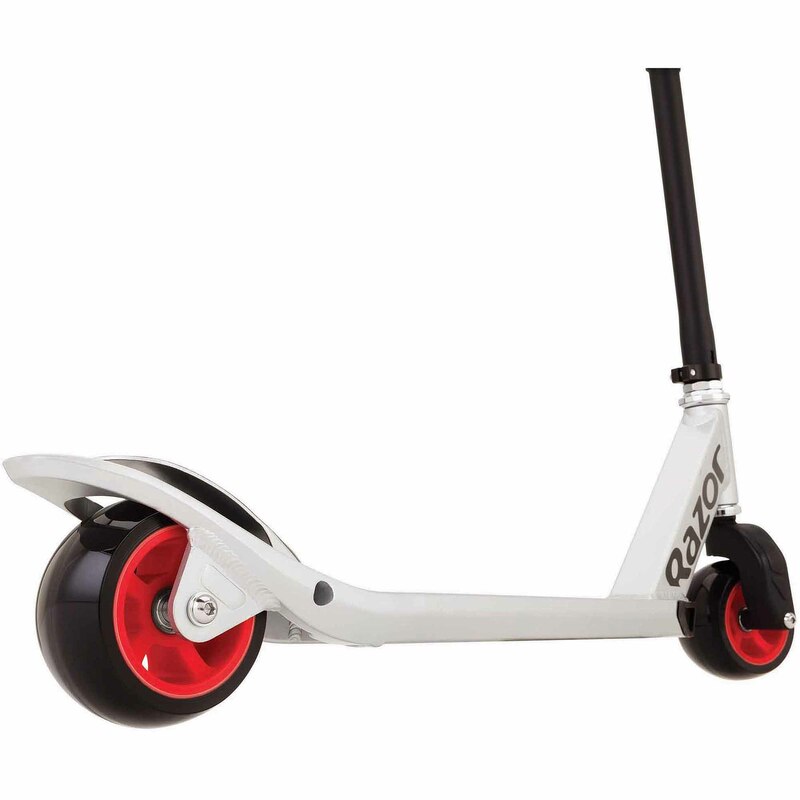 It is sleek, sophisticated and brimming with innovations that provide a smooth and fun ride. 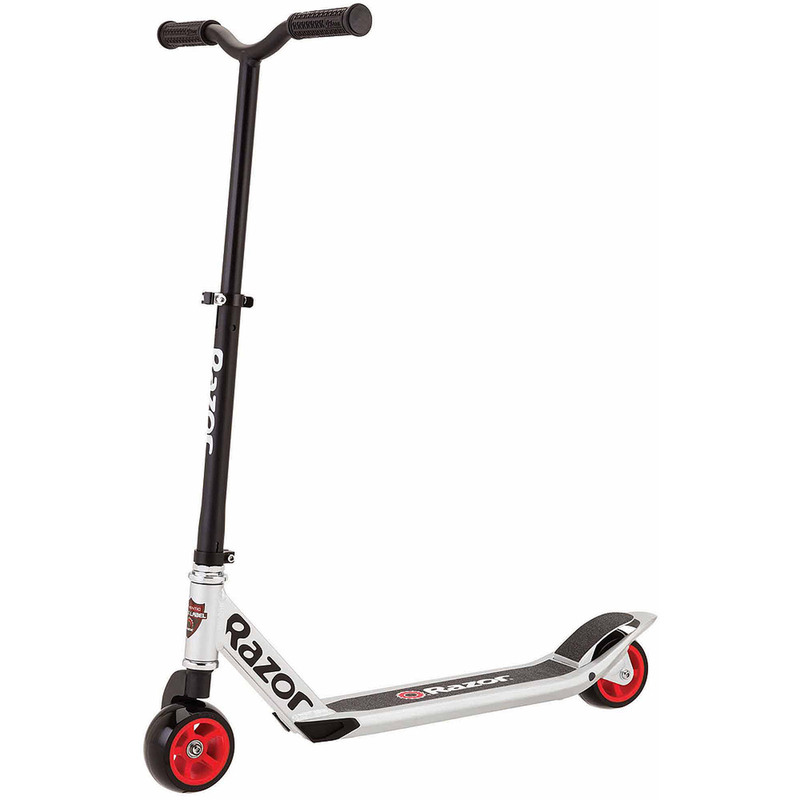 This zip scooter is sturdy and comfortable and the rear brake and handle bars give it an even more polished look. 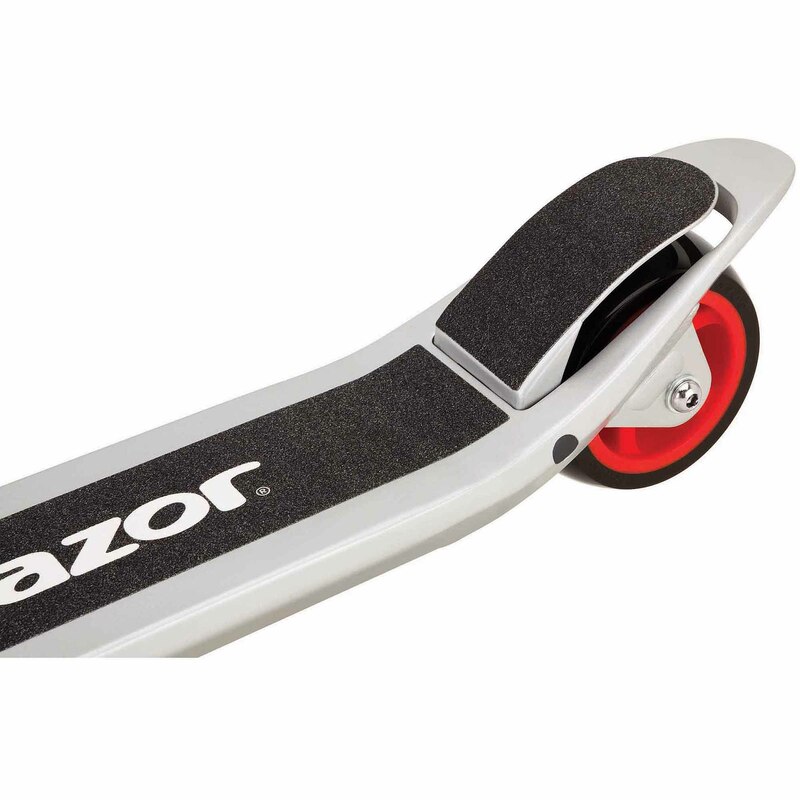 Razor E100 Glow -Ride with the Speed of Light!Streak through the neighborhood like a bolt of blue lightning on the all-new E100 Glow. 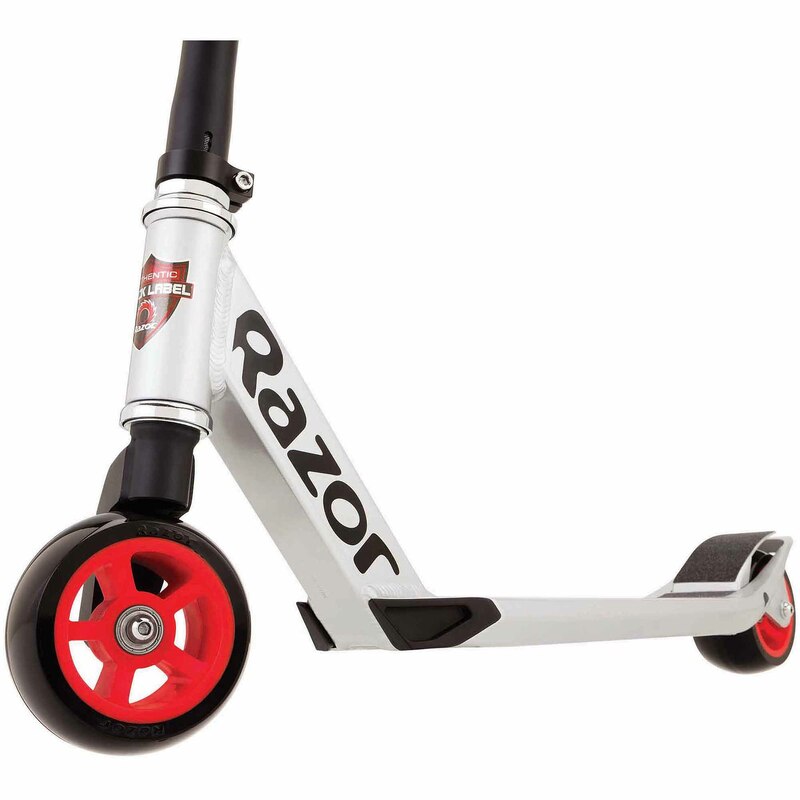 With speeds up to ten miles-per-hour and blue LEDs that light up each time you twist the throttle, the Glow transforms the best-selling E100 electric scooter into an out-of-this-world ride for kids eight and up.